Errors of Enchantment | Why is New Mexico not realizing its potential? On this week’s interview Paul sits down with Elisa Martinez, Executive Director of the New Mexico Alliance for Life. Her organization is a leading pro-life voice in the New Mexico Legislature and they worked to defeat legislation that would have allowed for assisted suicide and dramatically liberalized New Mexico’s abortion laws. Unlike so many conservative causes in New Mexico, Elisa’s group won its major (defensive) battles. How did they win? What can other groups engaged in public policy throughout New Mexico learn from their success? What’s ahead for the 2020 Legislature and elections? Are there issues of concern that cross over from social conservatives to more libertarian/free market advocates? The Rio Grande Foundation has long noted that New Mexico’s lags those of neighboring states quite dramatically. As it stands now, the unemployment rate in The Land of Enchantment remains relatively high (5.1%). That rate ties New Mexico for 49th although national unemployment rates continue to set record lows. But what about getting people in the workforce who may have dropped out during the economic downturn of 2008? The Bureau of Labor Statistics provides that data going back to 1976 measured as a percent of employed as a percent of overall population. The chart below uses January workforce participation rates from each year going back to 2010. As can be seen, New Mexico has consistently lagged the region in participation rates. Utah and Colorado not only lead the pack in participation rates, but they have made great gains since 2010. Arizona which has had low participation rates like New Mexico has also seen gains in workforce participation. Worse, when it comes to New Mexico, it is the only state with a lower participation rate than it had in 2010. What are New Mexico policymakers doing to get more people working? Not much. 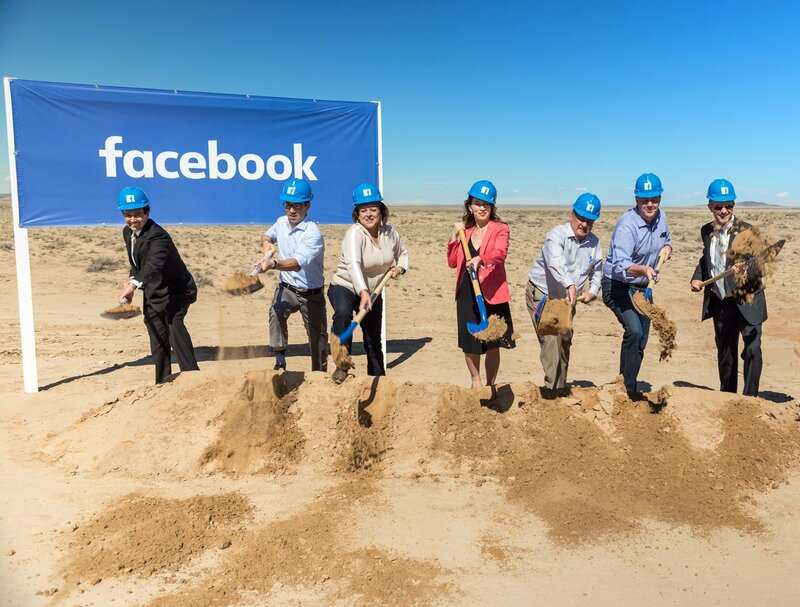 On this week’s podcast, Paul and Wally discuss the PRC’s decision to charge Facebook nearly $40 million for infrastructure costs associated with electricity infrastructure for their data center in Valencia County. Is this another sign that New Mexico is anti-business? What is the PRC doing here? Should rate-payers be concerned? NM Secretary of State Maggie Toulouse-Oliver jumps into the open race for US Senate against Ben Ray Lujan. Will the Republicans have a top-tier candidate in the race? United Van Lines mobility report for 2019 has some interesting findings regarding New Mexico and who is moving here. Paul and Wally discuss. The following appeared in the Farmington Daily-Times on April 19. Unfortunately, for someone who wishes that politicians and the public immediately saw the impacts of these policies, New Mexico has recently benefited from economic forces that are beyond the Legislature’s control. 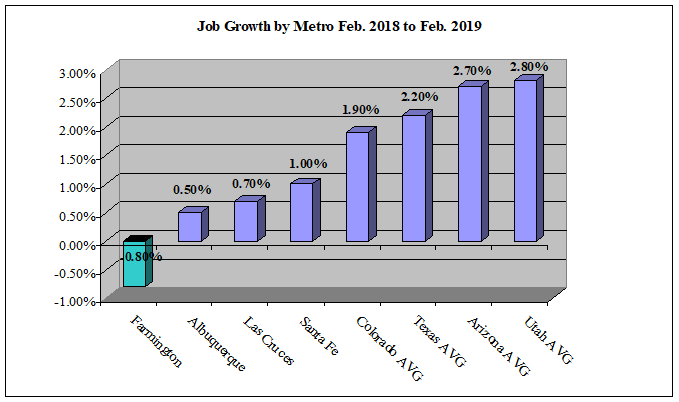 As Bloomberg News noted in late 2018, “New Mexico’s economy leads other states in job and wage gains since President Donald Trump’s inauguration in January 2017.” For a variety of reasons, not the least of which is his pro-energy policies including faster permitting for oil and gas leases on federal lands, the Trump Administration has been especially good to New Mexico. Pro-energy policies won’t do much if there is a glut. When it comes to natural gas, prices remain depressed due to oversupply, but in the oil markets New Mexico has benefitted from both booming production and relatively strong prices. Oil production in New Mexico has tripled since 2012. That production contributed greatly to the $1 billion surplus that the Legislature was able to spend during 2019. 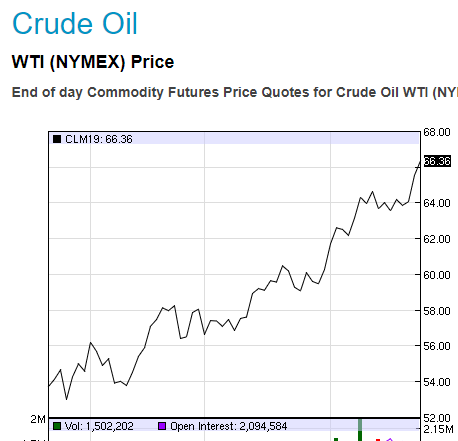 And, while the price per barrel reached a high of $75 a barrel in October 2018 and then dropped to the low $40s by the end of 2018, prices have risen once again and now hover in the $60 range and are likely to rise through the summer. If production and prices remain at these levels New Mexico government will remain flush with cash. Of course, the fruits of the oil boom will not be evenly distributed throughout New Mexico. Because of the sheer scope of the Permian Basin’s oil production that region will remain in hyper-drive. Unfortunately, the opposite is true in the Four Corners where natural gas production is declining due to the age of the basin and depressed prices. Worse, the shutdown of the San Juan Generating Station (and the mine which feeds it) which was ensured by the Legislature this session will result in the elimination of hundreds of jobs and large chunks of the region’s tax revenues over the next few years. Adjusting to the new economic reality will be made even more difficult for the Four Corners and other parts of rural New Mexico as the minimum wage rate ratchets up from $7.50 an hour to $12.00 over the next few years. Outside of the Permian Basin, much of rural New Mexico is struggling. The minimum wage hike will only make it harder for unskilled workers to find work and for small businesses to stay afloat. 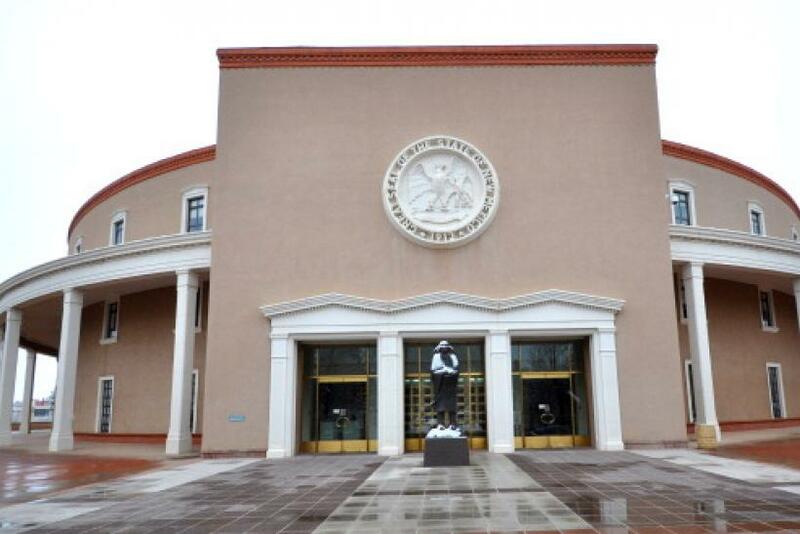 Moving forward it is clear that so-called “progressives” who dominate New Mexico’s major cities (Albuquerque, Las Cruces, and Santa Fe) and whose interests dominated the 2019 session, are out for more. The 30 day session will most certainly include another discussion of tapping the permanent fund for pre-K. Spending will also rise dramatically if oil and gas remain strong, but oil and gas will likely be targeted for additional regulations in ways they were not in 2019. More profoundly, the next election will see well-funded “progressives” attempting to take out Republicans and moderate Democrats who they see as the only obstacle to total dominance. A handful of Republican senators remain in Albuquerque and Las Cruces. They will definitely be targeted electorally as will many rural Democrats in the Senate. Booming Permian Basin oil production and stable prices mean New Mexico is fine for now, but a deep and sustained decline in oil prices could cause serious issues for our State. Combine that with the potential for “progressives” achieving total political dominance in 2020 and New Mexico is in unprecedented peril. We missed it at the start of 2019 but here is a link to the United Van Lines Mover’s Study. The map produced for the study is below. The study itself was written up by Fox Business News in a report mentioning that of the people moving to New Mexico, the highest proportion (43%) are moving here for retirement. This is accurate, but it does not mean New Mexico is an especially popular retirement destination. It just means that of the people coming to NM, the highest proportion of any state are coming for retirement. More importantly (in our view) is the fact that nearly 2 New Mexicans are moving out of state to find a job for every one who is coming here for work. It’s not ALL bad for New Mexico. The State is not among the 10 states seeing the most people moving out (nor is it among the top destinations (for United Van Lines). Of course, this data is from one company. United Van Lines does not necessarily reflect the “average” person moving from state to state. It is interesting to look at and the fact that retirees form a large portion of those moving into New Mexico only reinforces what we already know….that New Mexico is not particularly attractive to the young, but is relatively attractive for older people. On this episode Paul interviews Dr. Deane Waldman. Deane is both a medical doctor and an MBA. Before retiring he was a pediatric cardiologist at UNM Hospital. He resides in Albuquerque, NM, but works full time as a Senior Fellow on Health Care Policy at the Texas Public Policy Foundation. Deane and Paul discuss how we’ve gotten to where we are today in health care policy, the policy mistakes (or successes) that have been made over the years, and talks about the health care situation in the US in general. Then Paul and Deane go into ObamaCare, Medicaid, Medicare (and Medicare for all) and talk about how to improve American (and New Mexico) health care. As this post from 2016 illustrates, we at the Rio Grande Foundation have always had mixed views on the Facebook facility in Valencia County. Some good jobs and a permanent presence (unlike film), but lots of government incentives were used and we have been concerned that the facility’s push for “renewables” could impact utility rate payers. So, it was quite interesting to see the story that ran on the front page of the Albuquerque Journal this morning in which the PRC is asking Facebook to pay about half the cost of a new $85 million for transmission line. So, is the new transmission line going to benefit rate payers at large or just Facebook? I don’t know and more appeals will be heard on that issue. If the line really just benefits Facebook, it is hard to disagree with the PRC’s assertion (made on a 5-0 vote) that Facebook should pay the cost. If the new line is really going to benefit the rest of us and is going to be a critical component in our electric grid, then the PRC is being unfair to Facebook. Stay tuned…. Vincent Vernuccio is Senior Fellow at Workers for Opportunity, the goal of which is to advance the liberty of employees across the country, ensuring full choice and the protection of their First Amendment rights. Last night Albuquerque’s City Council adopted a ban on plastic bags. 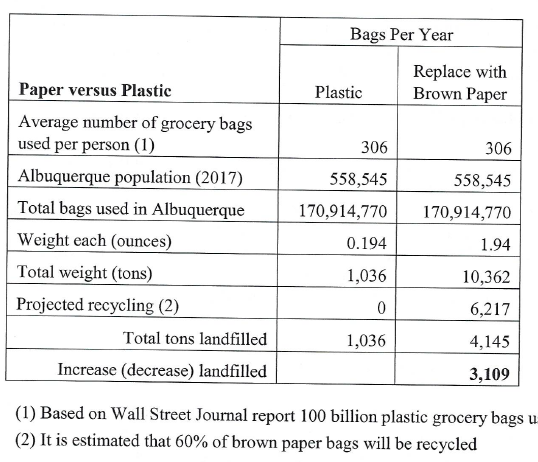 Straws and most restaurant carry out containers were exempted from the ban per amendments, but as of January 1, 2020, plastic bags used in most grocery stores (whether those are for groceries themselves or the veggie bags) will be illegal in Albuquerque. 1) Several children were involved in the process (as reflected in the news coverage). Sadly, these children are being pumped full of dire warnings about pollution, global warming, and the world around them when in reality the earth is getting cleaner and continues to get cleaner. And, of course life expectancy worldwide is getting longer as well. As the parent of three young children, whoever is scaring our children, whether it is parents, teachers, or politicians, it needs to stop. 2) Show up, be organized, WIN: The New Mexico Restaurant Association led by the indefatigable Carol Wight deserves credit for standing up for her industry. She and the restaurants showed up and fought the fight and were largely exempted from the ordinance. Other industry groups were AWOL. Unfortunately it is the consumers who will suffer. 3) The City released a study (you can read about it here, but good luck finding it on the City’s website) that was largely a whitewash of the issue although it did make many points brought up by opponents including that paper bags will increase the volume of waste in our landfills. Neither supporters nor opponents of the bag ban cited the paper which I only received a copy of at the meeting. Even the Journal story (linked above) was time stamped Monday after 2pm. Obviously the study was not a major factor in the debate. ABQ Passes plastic bag ban but doesn’t ban food containers and straws. The Las Cruces economy is struggling and a local business owner called out specific policies that make doing business there difficult. Conditions in that City are not much different from other NM cities which are also struggling relative to those in neighboring states. Speaking of NM as compared to other states, the latest Rich States/Poor States report is out. 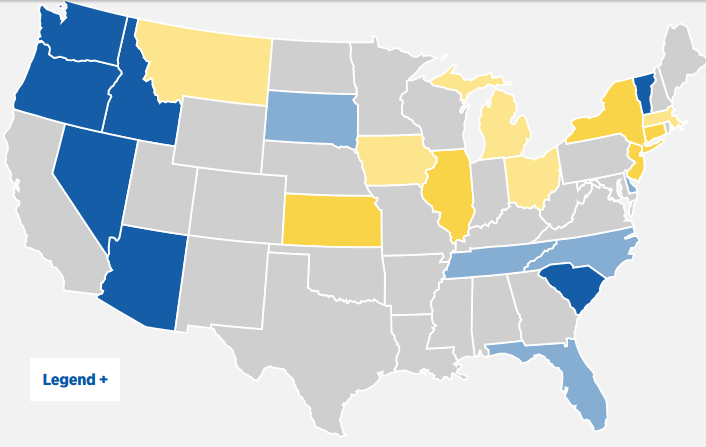 NM ranked 47th in economic performance and lags far behind neighboring states. Keller’s budget increases transit spending, but data show just how much of a boondoggle mass transit is in Albuquerque. And the Rail Runner is even worse. Finally, Illinois has passed and its Gov. signed a ban on local RTW just like what happened in NM.